Earlier this month, Microsoft got some publicity for its efforts to kill off Internet Explorer 6 and tonight they’re launching the next generation of browser at SXSW, an “annual music, film, and interactive conference and festival held in Austin”. With a live streaming event, IE9 features were explained and its strengths were demoed. The final version is now available to download. Dean Hachamovitch, Corporate Vice President, Internet Explorer, led the Internet Explorer 9 launch event at SXSW in Austin, Texas. He showed the strengths of the browser with its tagline ‘a more beautiful web’. He shared how: IE9 has been downloaded over 40 million times in its beta and release candidate form, more times than any other beta product. It was built from the ground up to web standards, specifically HTML5. The browser is stream-lined, with a minimal chrome. IE9’s frame is the smallest of any current browser out there and also uses the transparent glass familiar to Windows 7 users to make the website the center of the experience. IE9 claims to be more trustworthy in addition to its other improvements. It introduces tracking protection, uses hang recovery to isolate a hung site to the specific tab, uses activeX filtering, and continues to provide configuration options for IT Professionals through Group Policy support. The rest of the presentation consisted of a lot of demos showing off the power of HTML5 in the hardware accelerated IE9. The demos included a DJ site with video and album tiles, an HTML5-powered game site, an HTML5-powered, interactive acapella site, and a 3d Flash game that used Flash 11 and took advantage of hardware acceleration. The demo by Ari Bixhorn also included comparisons to Firefox and Chrome running the same websites on a Macbook Pro. For more details on IE9 and reflection on the path it took to its arrival today, see this article from the MSDN IE blog on Blogging IE9: A Year in Review. The Windows Team blog and Channel9 also discussed IE9’s development and tonight’s event. The Windows Team blog also posted an informative article about IE9 in third-party hypervisors (VMWare) that may be relevant to some of you out there and would be worth reading. So, what are you waiting for? 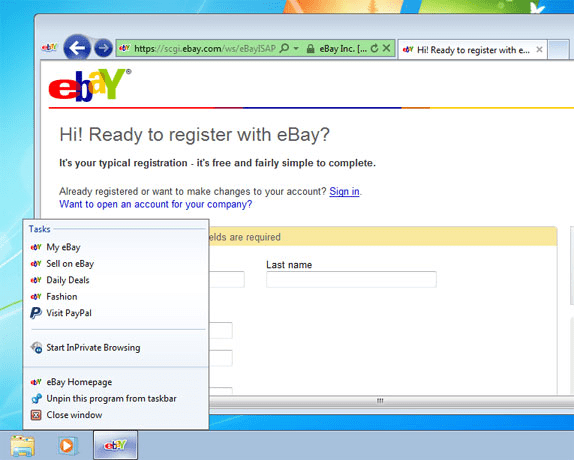 Go download IE9 and check out these new features from www.beautyoftheweb.com.